If you need an emergency boiler repair, our boiler repair services are available to residential and commercial customers in Meanwood. Regardless of the age, make or model of your boiler, we promise to carry out repairs of the highest standards to get your boiler running efficiently again as quickly as possible. Boilers break down for a wide range of different reasons and a problem with even the smallest component can affect how the whole heating system operates. Our team of boiler experts can offer solutions to problems relating to all parts of your heating system, including heating system pipework, heating sensors and controls, control valves and heating valves. As specialists in boiler repairs in Meanwood, our highly trained engineers have a huge range of experience in repairing all makes and models of boilers. We are a family-run, established company and over the years we have developed a reputation for offering friendly, efficient and reliable services. The majority of our work comes through customer recommendations and by choosing Tuke Heating, you’ll be able to relax in the knowledge that your boiler repairs are in safe hands. Our boiler repair services for landlords in Meanwood include gas safety checks, 24 hour call out services, boiler servicing, call handling and appointment booking directly with tenants and all kinds of general plumbing work. Regardless of the number of properties in your portfolio, we can offer your a boiler repair and maintenance package that’s tailor-made to meet your individual requirements. A boiler that’s been repaired to the highest standards will provide reliable performance and run more efficiently. As a fully accredited, certified company we only use manufacturer approved parts when carrying out boiler repairs in Meanwood. Our goal is to carry out most boiler repairs during the first visit and if this isn’t possible, we promise to get your boiler working again as soon as we can. So when your boiler lets you down, don’t panic – call us instead! We are experienced providers of boiler repairs throughout Meanwood and our team of qualified engineers are on hand to carry out repairs 24/7. 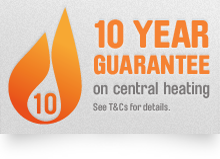 We make a promise to our customers to be quick, efficient and reliable – why not get in touch with us today for details of our boiler repair services?